A chic pair of round sterling silver stud earrings from Italian fashion label Emporio Armani. The centre is embossed with the signature Armani eagle logo, surrounded by a halo of glittering crystal for a touch of glamour. 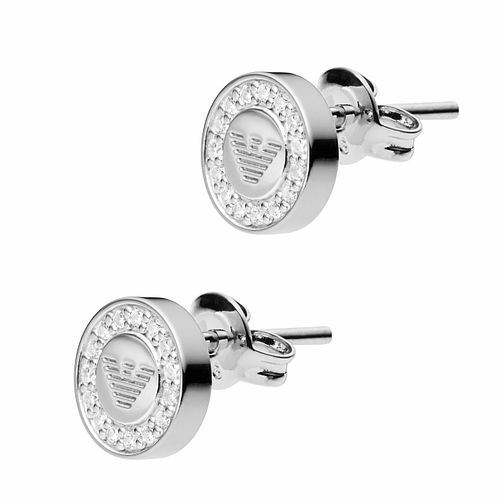 Emporio Armani Stone Set Sterling Silver Logo Stud Earrings is rated 4.7 out of 5 by 3.